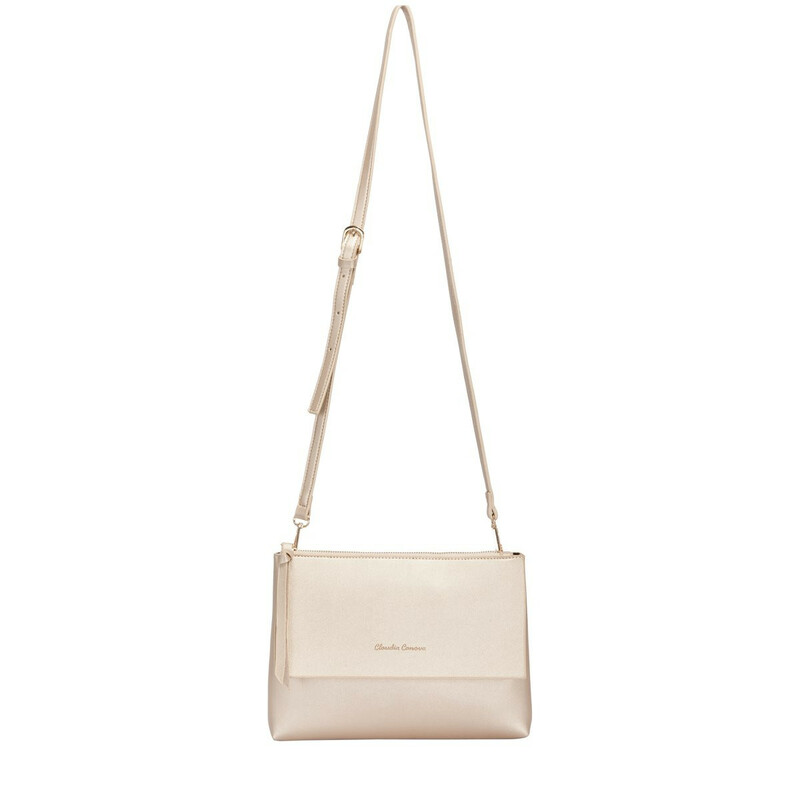 Add a fashion forward finish to your look with the Eloise metallic cross body. 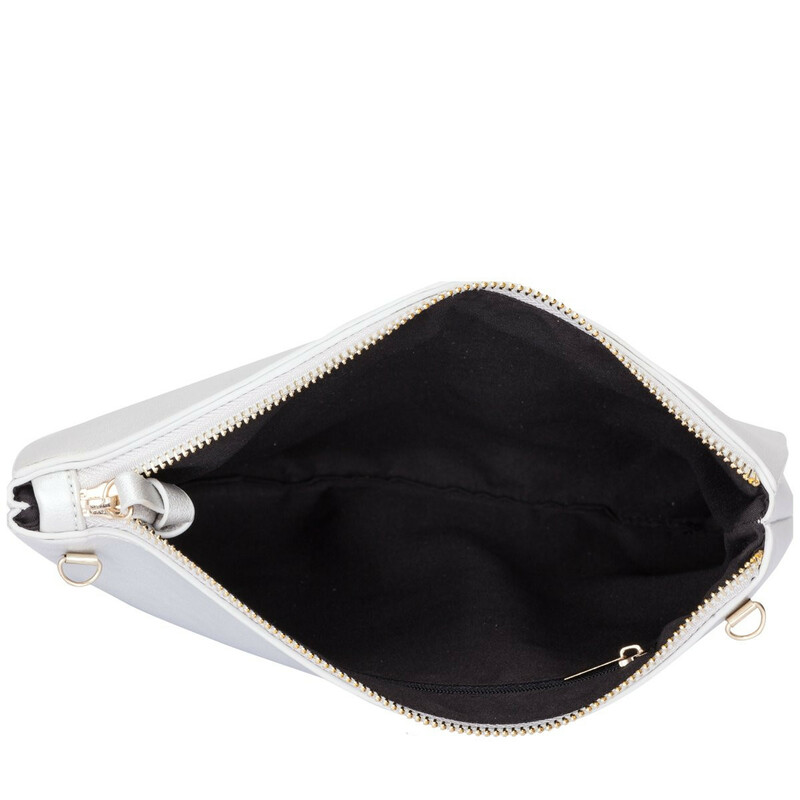 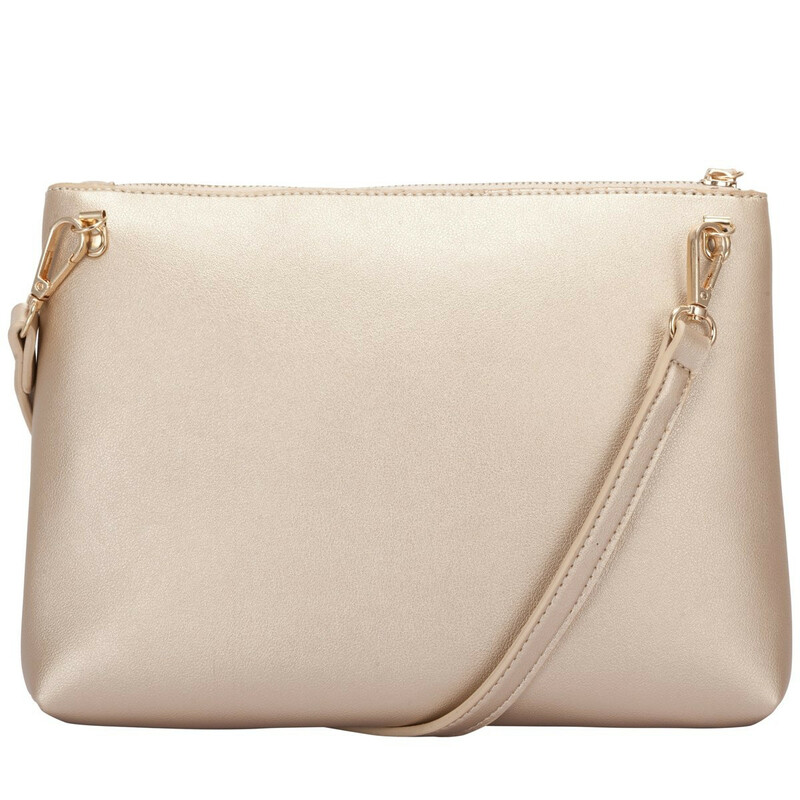 The unlined metallic PU finish makes this bag lightweight and the perfect hands free option for on-the-go girls. 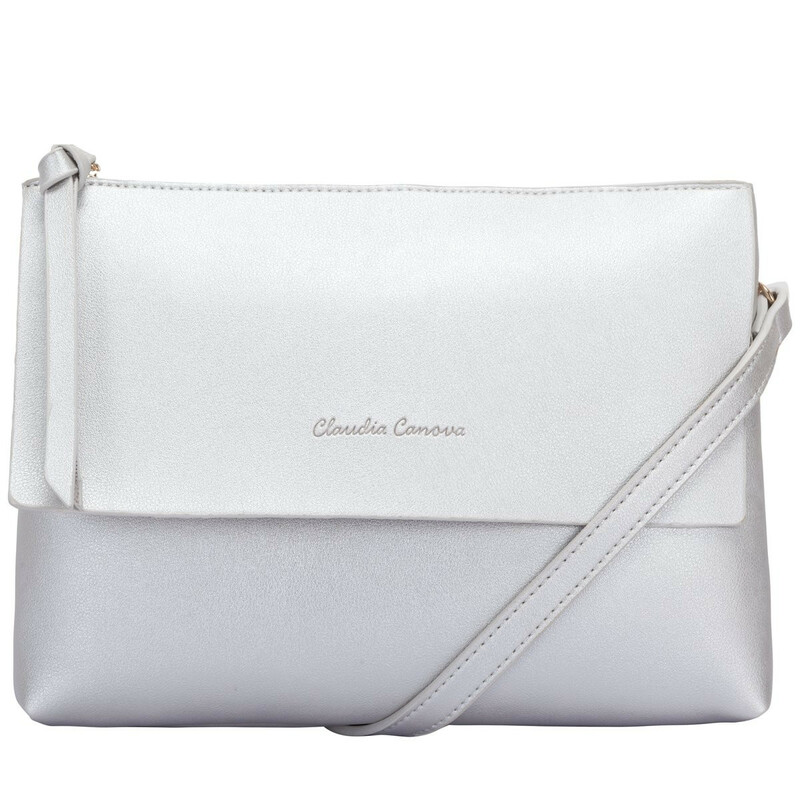 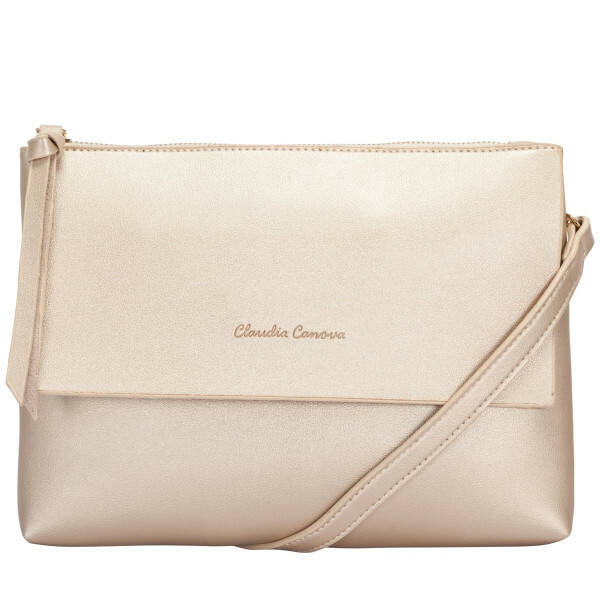 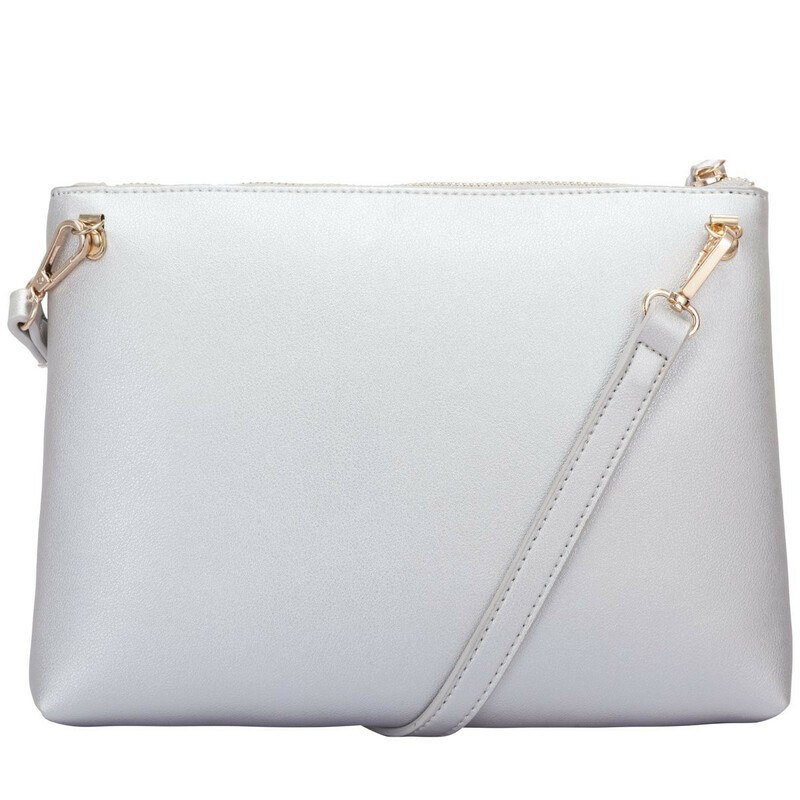 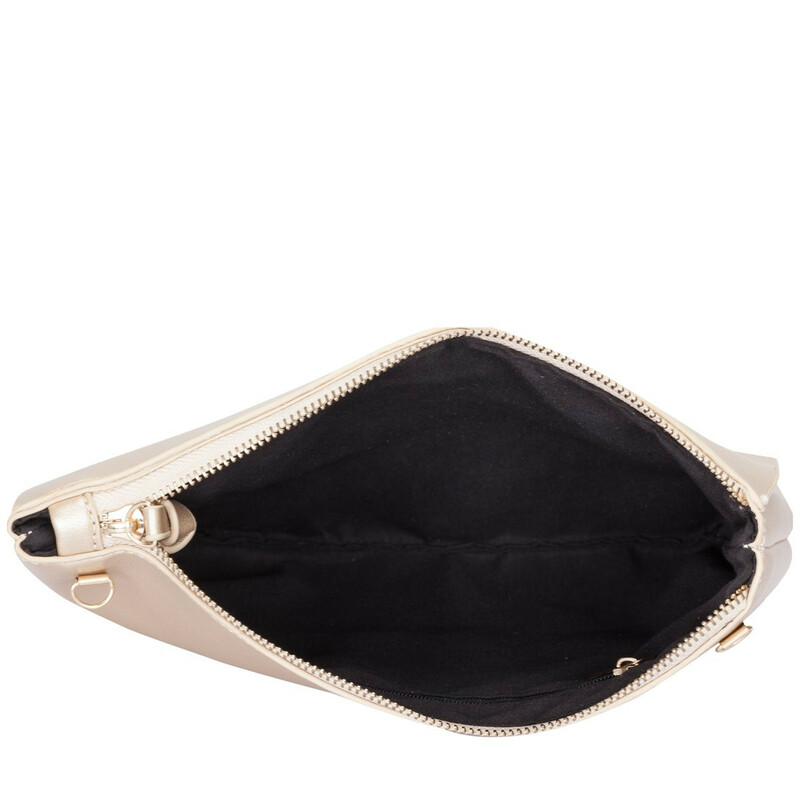 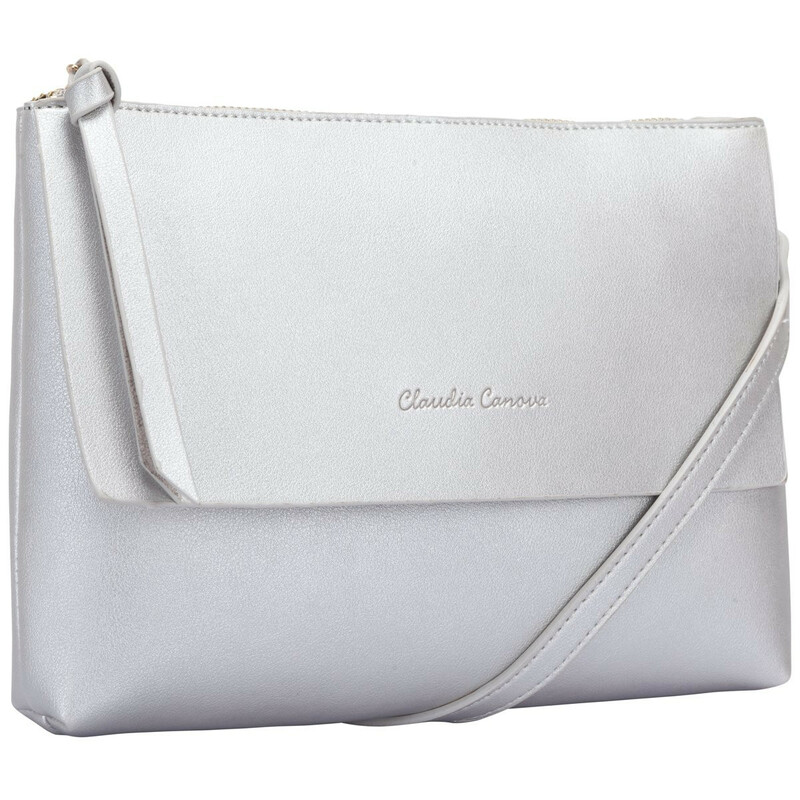 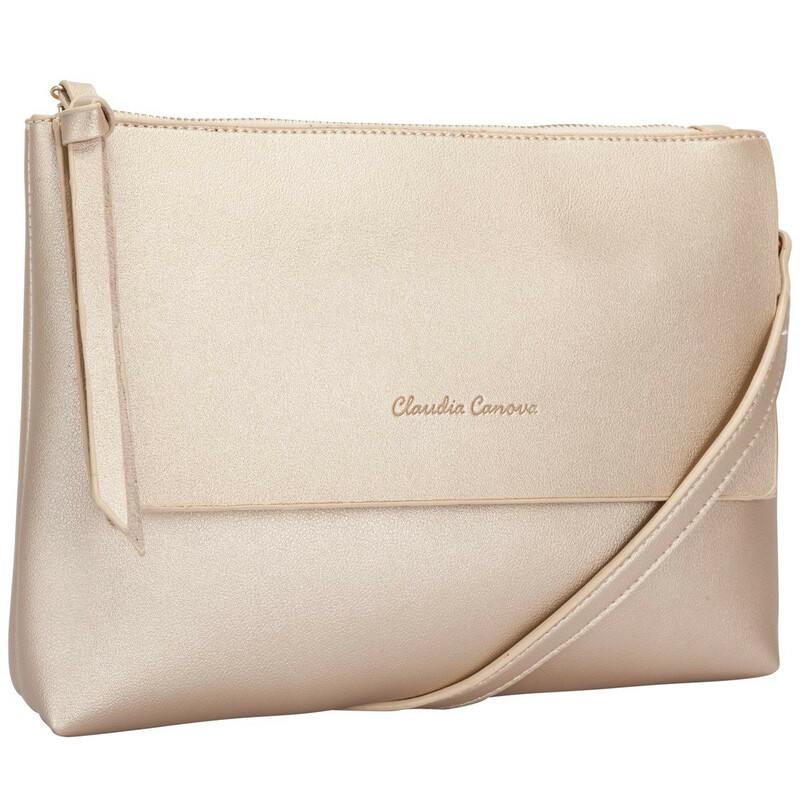 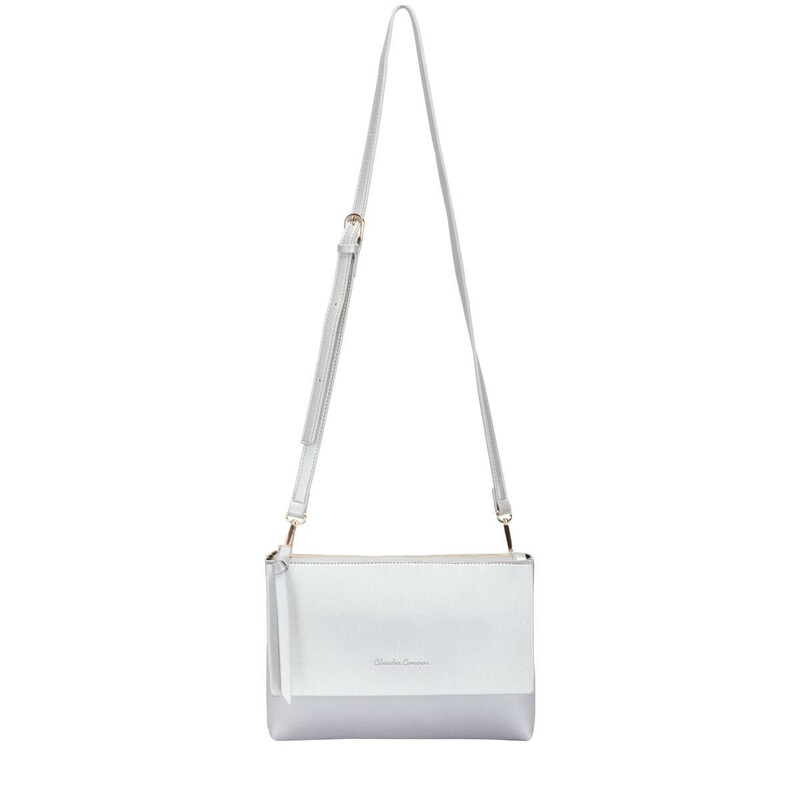 The metallic finish is complimented by minimal design features such as the Claudia Canova debossed logo, zip pull feature, and removable shoulder strap allowing the bag to double up as a clutch to take your look from day to night with ease.